Aside from the perfect ring, finding the right celebrant to officiate your wedding is one of the most important decisions you will make. You want your big day to be a reflection of your relationship with each other, and make it as personal and special as you both are. So you really want to do your research and get it right. The following are a good list of questions to ask your prospective celebrant. It is a good idea to set up an initial consultation and meet with them in person. It’s really important for you as a couple to be on the same wavelength as your celebrant, and find someone you’re both happy with. Are you available on my wedding date and my rehearsal date? Do you/will you have any other weddings booked in for that day? Are you a religious or civil celebrant? What official licenses/qualifications do you hold? Do you expect us to have pre-marital counselling? If yes, is this a service you provide or could you recommend someone? Are your ceremonies written for each individual couple, or do you have pre-written ceremonies that you can personalise for us? 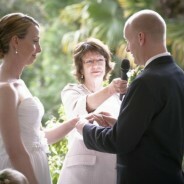 Do you have samples of your ceremony messages or sermons and vows we can read over? Can we alter the ceremony proceedings to include our own words or exclude certain parts of your scripts? Can we include our own poems/vows/music? Do you have any restrictions on these? Will you come to our desired ceremony location? What is the usual length of your ceremonies? Will you stay within a certain time period if we request so? Do you organise the necessary documentation, or are we expected to get it to you? If so, when would you need it by? Do you have any other restrictions we should be aware of? What is your fee for the kind of ceremony we want? What are the inclusions/exclusions? Does this include the cost of the rehearsal? Do you hold Public Liability and Personal Indemnity insurances? Does your fee include the hire of a PA system so our guests can hear the ceremony? How many meetings can we expect to have with you leading up to our wedding? If for any unforeseeable reason you are unable to perform our ceremony, are you able to provide us with an alternative celebrant? Are we expected to pay upfront or put down a deposit to secure our booking? In my next post, I will be sharing an interview with one of my own personal favourite Melbourne-based marriage celebrants! How early is too early to start a guest list? How can I put this… IT’S.NEVER.TOO.EARLY! 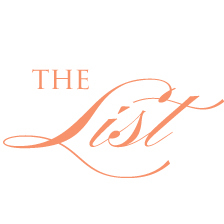 Getting your list done early will help in so many areas. 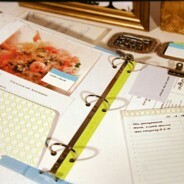 You will make your wedding stationer’s life a dream, keep your own sanity and hopefully stop adding more names! A Black Tie invitation calls for formal attire. 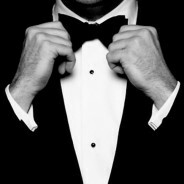 Men wear tuxedos or dinner suits, women wear cocktail, long dresses or dressy evening separates (traditionally anything after 5pm). Formal or Cocktail If you really want people to dress up and usually used for weddings after 5pm. Lounge Suit is suited to semi-formal daytime weddings, and means men are expected to wear a suit, shirt and tie / collared shirt, a jacket and usually a tie, and ladies can dress up as much as they like. Smart Casual is generally used for an informal wedding, this gives guests plenty of options. Men can wear casual trousers, but not jeans, with a long sleeved shirt, and optional jacket and tie. Women can wear trousers, a dress, or a skirt with a pretty top. 1. Start early. Most people greatly underestimate the time needed to browse, order, receive, assemble, and mail wedding invitations. It is customary for invitations to be sent out 6 to 8 weeks before the wedding. If you are looking at sending out Save The Date cards, these should be sent out 6 to 9 months in advance, to allow for people travelling from interstate or overseas. 2. Decide on other stationery. A standard invitation suite includes the invitation and reply card, but think about other things like custom maps, table numbers, placecards or favour tags to match your invitation, just to name a few. 3. Proof-read, Proof-read, Proof-read! Read, re-read and then pass onto someone else you trust to proof-read it as well. The more eyes the better. Make sure commas and full-stops are in their right places, and spelling, dates and times are correct.